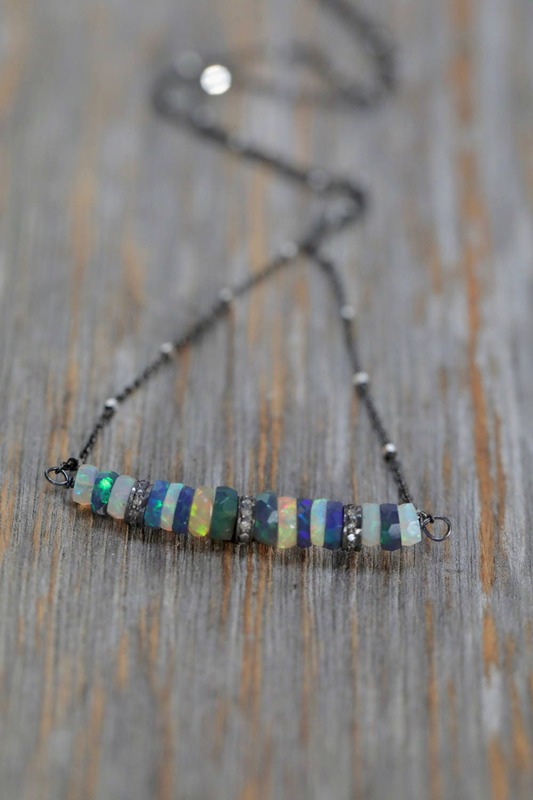 The opals alternate between darker blue-green color play black opals and semi black with mostly green color play. 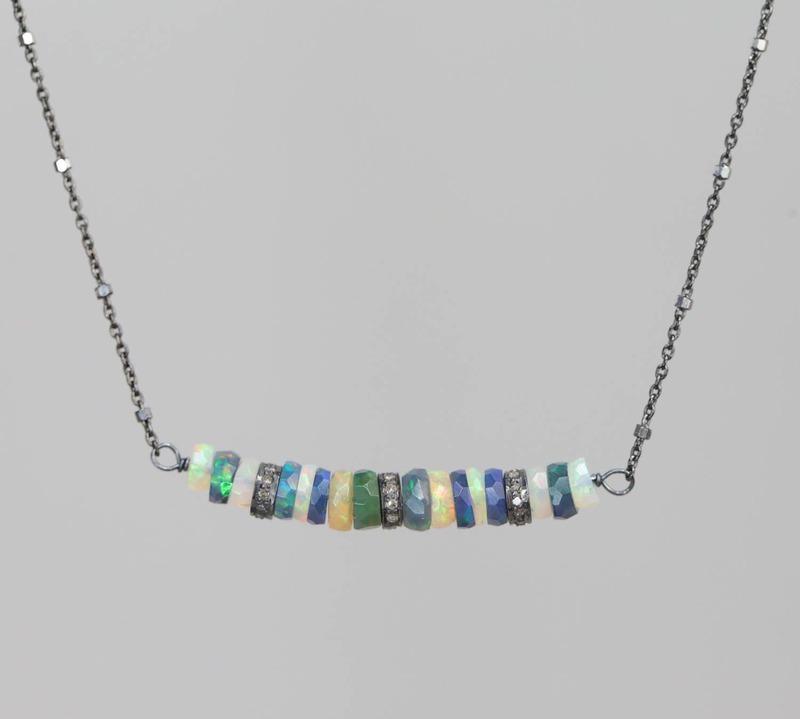 There is also a hint of pink color play in both types of opals. 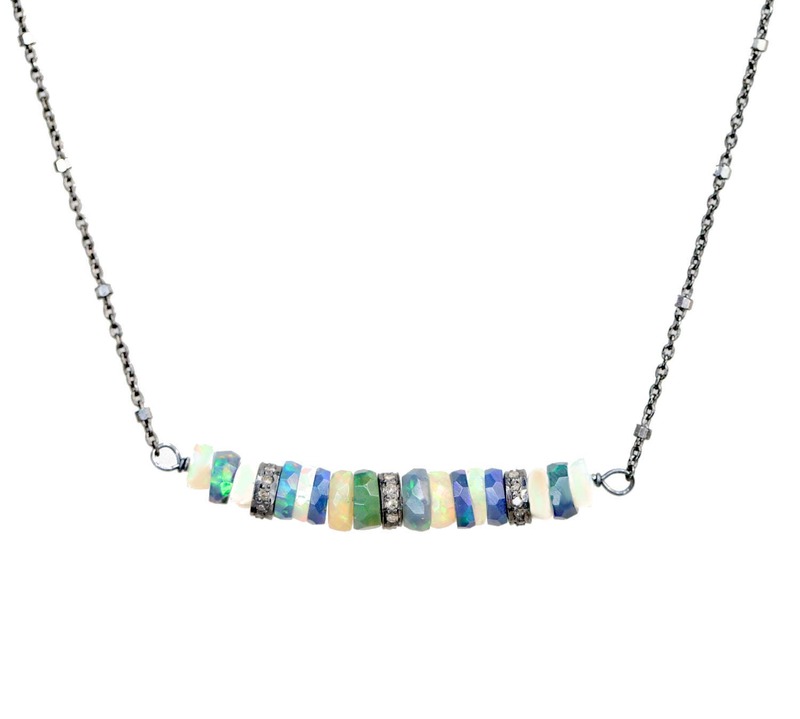 To give you an idea of how these opals look, I have shown them in a few different backgrounds and lighting. 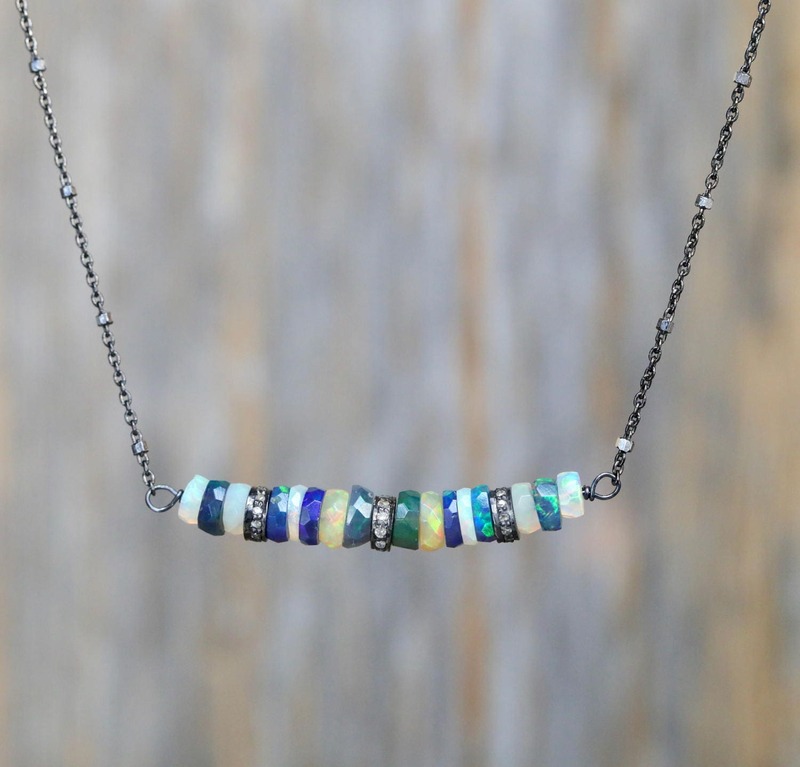 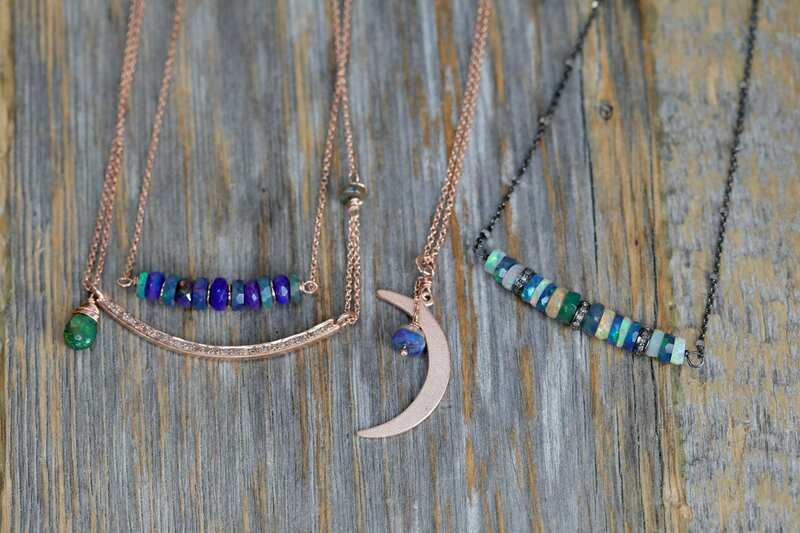 Note: Each bead will be slightly different, as with all natural gemstones and no two opal bar necklaces will be 100% exactly alike, as they are handmade individually. 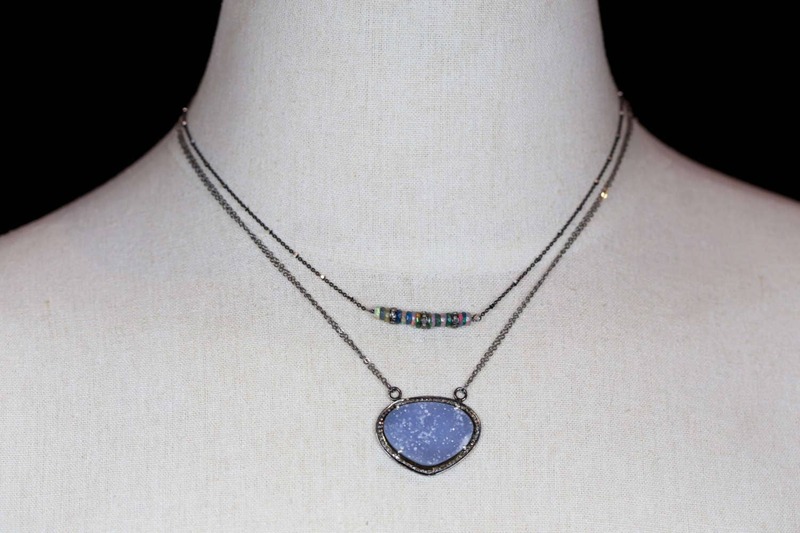 They will be matched as closely as possible to deliver you a beautiful necklace.